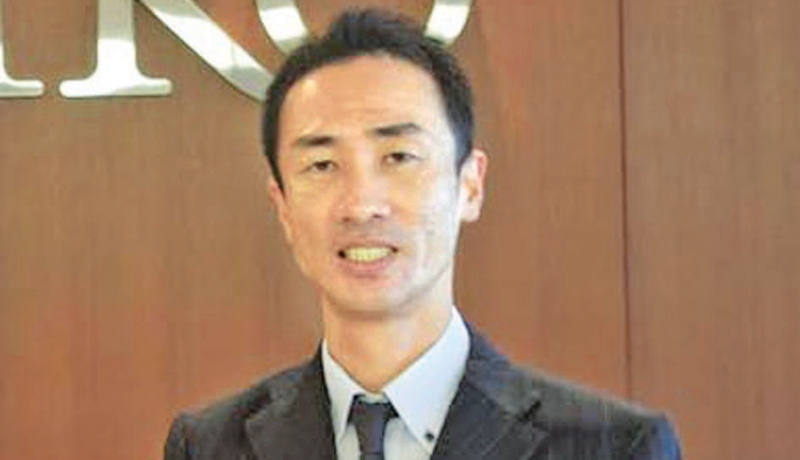 Japan External Trade Organisation (JETRO) plans to introduce a Japanese style ‘health and productivity management’ system in local companies, with a view to decreasing the number of non-communicable disease patients in Sri Lanka. The project is to be undertaken in collaboration with Lankan companies and health-related organisations. Senior Director for Global Strategy, South West Asia Planning Department at JETRO, Kazuhiko Obama said the proposed system will include the application of regular health check-ups. Obama explained that in Japan the employer is responsible for the health of the employees and as such, regular health check-ups sponsored by the employer were compulsory for employees. “In Japan, it is the companies or organisations which look after their employees’ health. Regular health check-ups are compulsory. The employees have to produce a comprehensive health check-up report to their employers annually. We are currently in discussion with the government and companies in Sri Lanka to introduce a similar system which will be highly beneficial to the Lankan people,” Obama explained. According to Obama, JETRO has already conducted workshops in Colombo in 2017 and 2018 for company CEOs to convince them of the importance of having a system similar to Japan when it comes to the health of their employees. While describing the response from Sri Lankan CEOs as very positive, Obama said JETRO will organise more such workshops in Colombo shortly. “NCDs account for about 70 per cent of total deaths in Sri Lanka. Obama said JETRO also plans to hold ‘Health Care Awards’ to recognise and encourage Sri Lankan companies to embrace the health and productivity management system. “Healthy employees will contribute to enhance productivity and also will help lessen the burden on the Sri Lankan government which offers free health care services at a high cost,” Obama said. According to Obama, JETRO also plans to venture into the field of elderly care in Sri Lanka. He said that JETRO plans to train Sri Lankan workers engaged in elderly care which could enhance their knowledge, skills and also employment opportunities, both locally and in foreign countries. Obama explained that Japan has the best elderly care system in the world and Sri Lankans can benefit with exposure to the Japanese system. JETRO, or the Japan External Trade Organisation is a government-related organisation that works to promote mutual trade and investment between Japan and the rest of the world. Originally established in 1958 to promote Japanese exports abroad, JETRO’s core focus in the 21st century has shifted toward promoting foreign direct investment into Japan and helping small to medium-size Japanese firms maximise their global export potential.